I've been down with a cold this weekend, therefore I haven't done much apart from knitting. 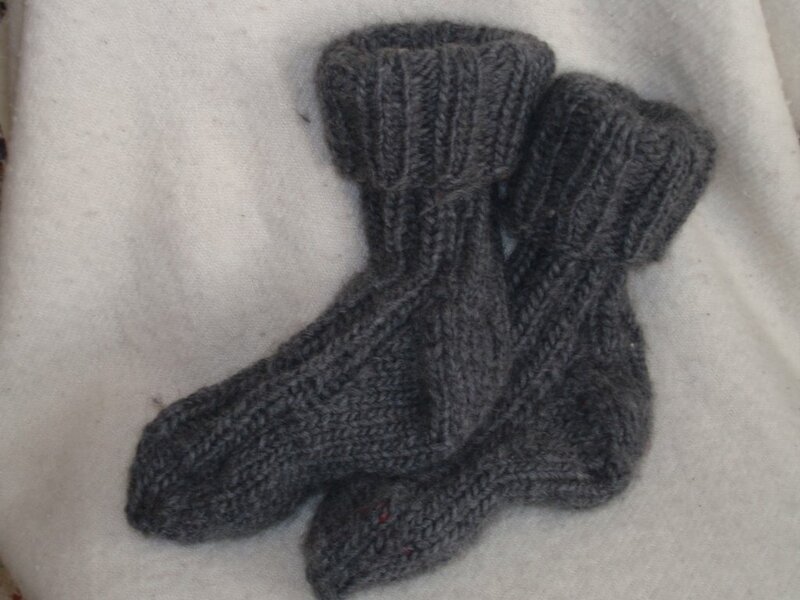 It's my nephew's birthday tomorrow, and I've made some socks for him. Found some 4ply soft from my stash and used a pattern from Pinnsvin design as my guide. I've cast on for a new Le' Slouch this week, trying to make t his slightly more slouchy. Today I've also watched "Breakfast at Tiffany's" for the first time. After all not so bad to be sick on a Sunday, but I really hopes that I'm better tomorrow, cause there's just time to be sick.